Prince George’s County Executive Rushern Baker, Howard County Executive Kenneth Ulman and States Attorney Angela Alsobrooks will be feeling the heat along with nearly 3 dozen additional elected officials, civic leaders and members of the media. Maryland Governor Martin O’Malley is scheduled to observe his friends and members of the media douse flames, climb to new heights, find their way out of dark places and save lives. All part of being a firefighter for the day. 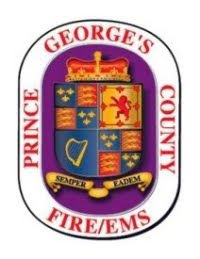 On Friday May 4th, the Prince George’s County Professional Fire Fighters and Paramedics Association will be hosting the second annual Fire Ops 101 Program at the Maryland Fire and Rescue Institute in College Park. This one-day workshop will demonstrate many aspects of fire and emergency medical service operations, from suiting up in protective gear and putting out fires to saving a victim of cardiac arrest. Each of the scenarios will give participants the opportunity to safely experience, first-hand, what fire fighters and paramedics face on a day-to-day basis. While it is too late to participate in Fire Ops 101, members of the media are invited to attend and cover the action. This event is scheduled from 8:00 am to 2:00 pm, however, the prime time period to cover this event is from 9:00 am up to 11:00 am while many of our elected officials are scheduled to participate. WHO: State and County Elected Officials, Civic Leaders, Media, Firefighter Union Officials, Staff, Prince George’s County Firefighter/Medics, County Agency Heads and many others.